Loaves & Fish: Was it a Miracle? I was furious when the priest said Jesus didn't do a miracle at the multiplication of the loaves — he said Jesus taught everyone to care and share. Instead of standing up and saying "Excuse me Father!" — I decided to write — and I did. Hopefully my article will help put that 60's faddish nonsense to sleep once and for all. You would never hear such baloney 30 years ago and you'll never hear it again in thirty years. Anyway, I wrote the article and it was published in the January 2008 issue of THIS ROCK Magazine. It is now available on-line at Loaves & Fishes, Fashionable Priests and the "Miracle of Sharing." Have you ever heard this homily? If so, print a copy of this article and give it to the hip homilist. 1) Was Jesus Unaware?, 2) Where's the Sharing Lesson?, 3) Where did this Teaching come from?, 4) Jesus the New Moses, 5) The Number of Perfections, 6) What is a Miracle? 7) What did the Fathers Teach?, 8) What Do You Believe?, 9) Do You Not Yet Understand? One Sunday I visited a parish in another city and learned something new. The multiplication of loaves didn’t really happen. The greedy people following Jesus in the wilderness had loaves and fishes stuffed up under their robes. 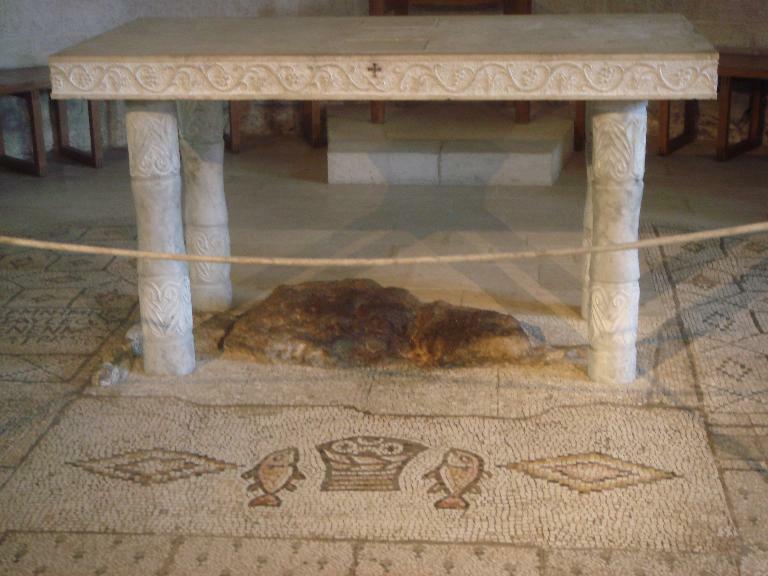 The disciples didn’t know about this surplus of hidden food, but this parish priest did! 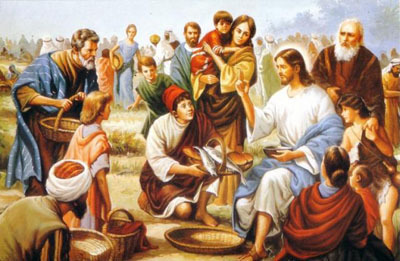 Although the priest said he was taught in seminary that Jesus kept pulling bread and fish out of the basket, he learned the real truth from the natives in Mexico. They taught him that the Gospel writers misunderstood what really happened. What really happened is that Jesus preached to the crowd about caring and sharing and they responded by bringing out food from under their robes that they had been hiding from each other. Once everyone learned how to share, there was plenty for everyone with twelve basketfuls left over. The story was told with great humor and passion, but the denial of the miraculous and the undermining of the clear intent of Scripture was accomplished nonetheless. And in the course of telling a good story, the priest actually placed the onus of this false teaching in the laps of the poor people in Mexico.